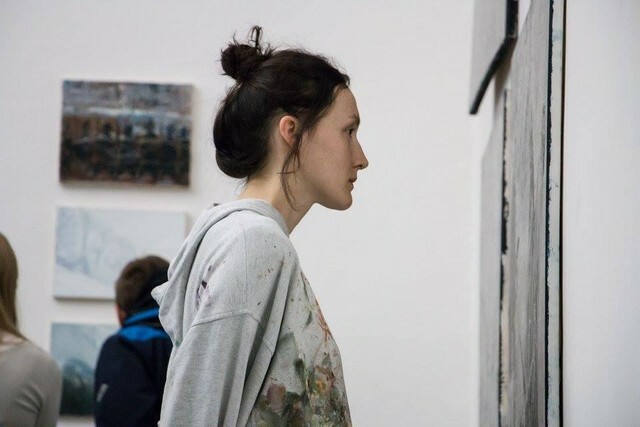 Eliška Konečná studies at the Academy of Fine Arts in the Studio of Painting lead by Robert Šalanda and Lukáš Machalický. Last year she completed a study stay in Haag, the Netherlands. Her paintings relate to the mapping of everyday space she occupies, but they also contain abstracted elements that carry real references to the outside world. The diversity of formal expression is also reflected in the creation of objects in which the artist generalizes her experiences. These overlaps of painting can be justified by the artist's interest in the language of expression and the possibilities of interpretation as the basis of human communication.